It doesn't get more luxurious then walking through the beautiful Shangri-la Hotel to get to your appointment at the Miraj Hammam Spa by Caudalie. Passing through the lobby lounge with a man singing as he also played the piano really put me in a relaxing mood. 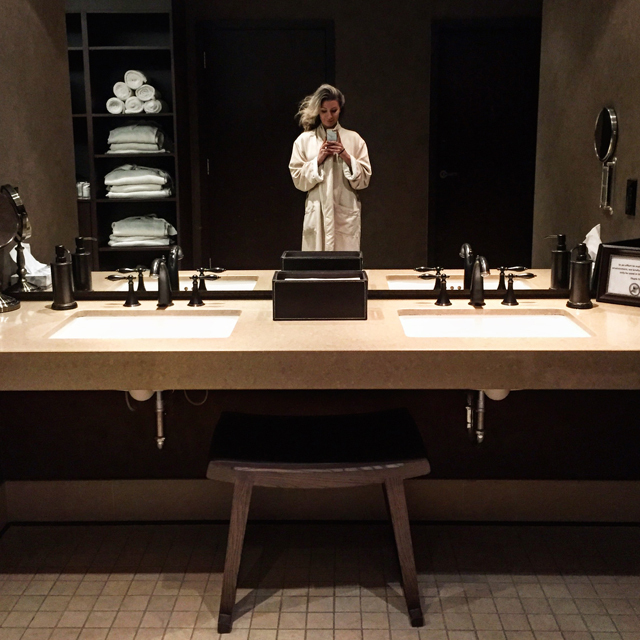 I was visiting the Miraj Hammam Spa to experience their Divine Body Treatment that involves a full body exfoliation followed by a soothing 30 minute massage. The timing of this could!n't have come at a better time. With the temperatures dropping and the heat getting cranked at my condo I have been feeling so incredibly dry. I hate that feeling, especially when no amount of moisturizer seems to get me hydrated. A deep exfoliation is exactly the boost my body needed to feel smooth again. The body scrub they use combines sugar, hibiscus, sesame seed and grape seed oil. As you can imagine the scents were amazing. I knew this would be the case since I've been before for an oxygen facial and loved the scents so much that I came home with a couple products to try and live in my spa dream just a little longer. After you are gently exfoliated from neck to toe you jump in the shower for a nice hot shower to open up those pores and absorb even more of that goodness. 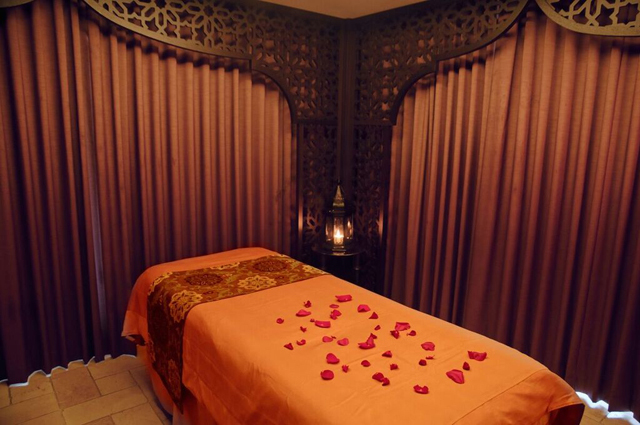 Following the exfoliation is a relaxing half hour massage to end things off blissfully. With a treatment at the Miraj Hammam Spa you get to relax in their cozy cushioned lounge or if you like you have access to the Shangri-la's pool area to take a dip. I've loved both my experiences so much there and will definitely be adding a couple scrubs to my winter routine each year. Now, since Valentine's Day is around the corner I've teamed up with Miraj Hamma Spa by Caudalie to share some love with you! Enter to win 1 Couples Hammam & Gommage treatment valid at $200. What is it? 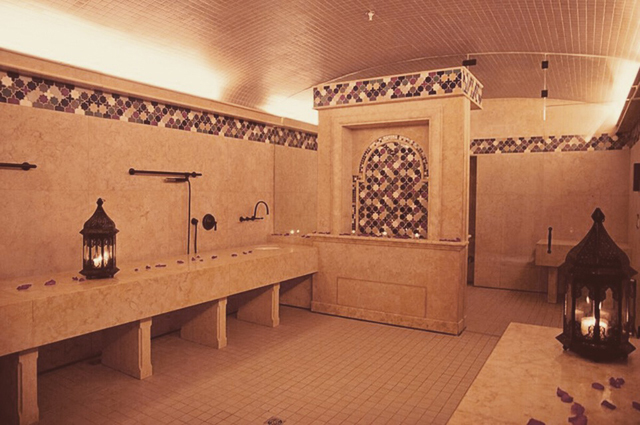 This steam and body exfoliation is part of the authentic traditions of the Middle East. De-stress between a private high intensity and low mist steam chamber, the Hammam will cleanse your body while stimulating your senses and imagination. Lay relaxed on Jerusalem gold marble as you experience an invigorating full body Gommage (exfoliation) using eucalyptus infused black Moroccan soap. This experience is considered to be the ultimate detoxification treatment. 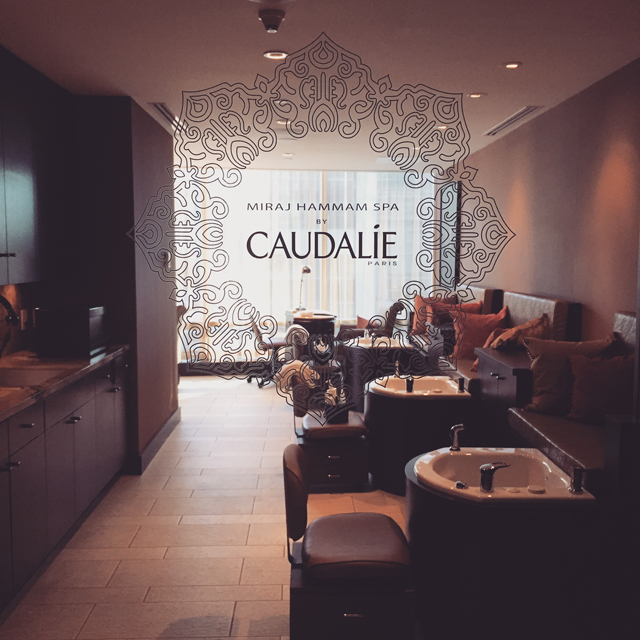 1 couples hammam & gommage treatment c/o Miraj Hammam Spa by Caudalie valued at $200. Contest runs February 11, 2016 8:00pm, EST to February 15, 2016 12:00am EST. Great pics, really love it! Great!Thank you so much for your recommendation. I tried these $15 scrub sets. Oh my word. I'm 5'5" at 170 lbs and these scrubs fit true to size!!! The scrub tops are the absolute best and they have cargo pockets! Will be ordering more!